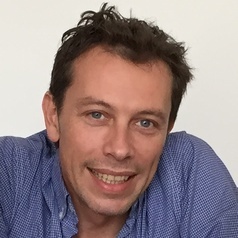 Kevin Mellet is an economic sociologist, researcher at the Social Sciences Department of Orange Labs (Sense) and associate researcher at the Centre de Sociologie de l'Innovation (Mines ParisTech). Since September 2016, he is also an associate professor (PAST) at the University Paris-Est Marne-La-Vallée where he took the co-responsibility of the Master "communication and social media". He teaches among other disciplines Internet sociology and online marketing. Kevin’s research is based primarily on economic sociology and science and technology studies and focuses on digital markets, from the standpoint of market intermediaries, businesses and consumers. He is interested in issues related to online visibility and reputation, and he is particularly investigating the following areas: online advertising and marketing, participation and expression of consumers on the internet, and more recently issues related to mobile usage by informal entrepreneurs in developing countries.